Ion Beam Applications S.A. (IBA) of Louvain-la-Neuve, Belgium and Andover, Massachusetts, and Netherlands-based multinational Royal Philips, have announced an agreement to collaborate on developing more personalized diagnosis and therapy solutions for cancer patients, including research and exchange of technologies and solutions to provide access to proton therapy solutions and enhance oncology care centers worldwide. IBA is a cancer diagnostics and treatment equipment company and worldwide technology leader in the field of proton therapy engaged in design and manufacture of cyclotrons and radiopharmaceutical markers used in the diagnosis and treatment of cancer, and claimed to be the world’s leading provider of proton therapy — a form of radiotherapy considered by many specialists the most advanced and targeted cancer treatment due to its superior dose distribution and fewer side effects. Because of its precision targeting of tumors, and its property to spare healthy tissues, proton therapy results in fewer side effects for the benefit of patients. Protons deposit the majority of their effective energy within a precisely controlled range, directly within the tumor, sparing healthy surrounding tissue. Higher doses can be delivered to the tumor without increasing the risk of side effects and long-term complications, thereby improving patient outcomes and quality of life. Royal Philips is a diversified health and well-being company, focused on development of meaningful innovation in the areas of Healthcare, Consumer Lifestyle and Lighting. Headquartered in the Netherlands, Philips posted 2013 sales of EUR 23.3 billion and employs approximately 113,000 employees with sales and services in more than 100 countries. The company is a leader in cardiac care, acute care and home healthcare, energy efficient lighting solutions and new lighting applications, as well as male shaving and grooming and oral healthcare. 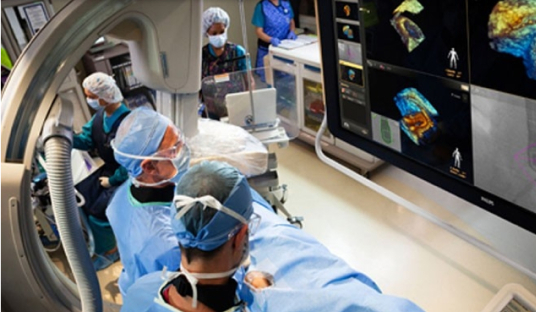 The agreement covers sales, marketing, and research and development (R&D) of imaging and therapy solutions in oncology. By merging their respective expertise in therapy and image guidance systems, IBA and Philips aim to innovate with an integrated vision for more efficient, personalized cancer care. 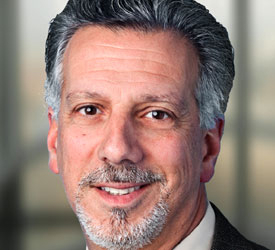 They maintain that leveraging high quality imaging and proton therapy offers potential to increase confidence in diagnosis and treatment of cancer, reduce short- and long-term side-effects and potentially enhance quality of life for patients before, during and after treatment, while reducing the cost of treatment for the healthcare system. 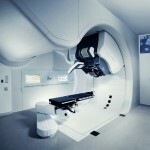 The collaboration will also enable both organizations to mutually leverage technologies and solutions: IBA will benefit from Philips’ diagnostic imaging products offered to oncology care centers, while Philips will leverage IBA proton therapy solutions within its offering for customers in select markets around the world. The commercial collaboration also includes an integrated offering for Molecular Imaging Centers, combining IBAs expertise in PET radioisotope production centers with Philips imaging and diagnostics expertise. Proton therapy uses beams of protons — fragments of atoms — instead of the high energy (and potentially damaging to surrounding tissue) X-rays used in conventional radiotherapy. Proton beams can be more precisely targeted on a tumor, and unlike X-rays, proton beam radiation falls off very sharply over a proverbial ‘cliff,’ as it were, reaching its target with intensity but then dropping off sharply and doesn’t travel very much further. This makes proton therapy appropriate for treating vulnerable areas of the body where it’s important to minimize risk of unwanted damage to surrounding tissue. The beams stop penetrating once they hit the designated target, rather than carrying on through the body as with X-rays which release substantial doses of energy to healthy tissue and organs on the way to the tumor and continue to deliver radiation as they leave the body, analogous to exit wounding left by a bullet, in contrast with the fewer side-effects and less collateral damage caused by proton therapy. IBA’s primary expertise lies in development of next generation proton therapy technologies that provide oncology care providers with premium quality services and equipment. IBA’s proton therapy solutions are scalable and adaptable, offering universal full scale proton therapy centers as well as next generation compact, single room solutions. 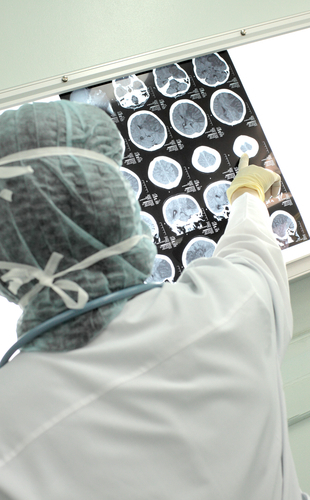 IBA also focuses on the development and supply of dosimetry solutions for Quality Assurance of medical equipment and increased patient safety as well as particle accelerators for medical and industrial applications. In late July, IBA received combined clearances from the U.S. FDA for its imaging platform adaPT Insight and Compact Gantry Beam Line, allowing the company to market-launch its Proton Therapy specific Cone Beam Computed Tomography (CBCT) solution in two PT solutions, ProteusPLUS and ProteusONE (2014 and 2015, respectively). 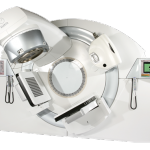 IBA’s CBCT solution opens the way to increased proton therapy accuracy. As a component of IBA’s Image Guided Proton Therapy (IGPT) solution, CBCT provides 3D imaging for increased accuracy in patient treatment. 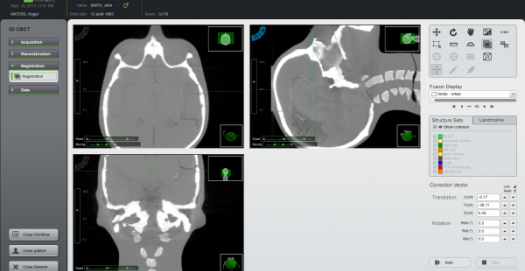 It is fully integrated with IBA’s imaging platform adaPT Insight, to offer fast 6D corrections of patient positioning for IBA’s ProteusPLUS and ProteusONE. 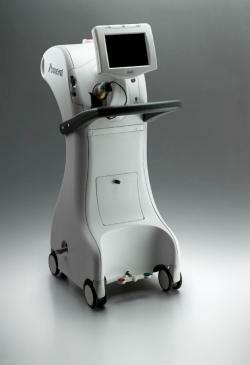 IBA’s first CBCT is at the validation phase and the first clinical use is expected for the second half of 2014. According to Cancer Research U.K. ,Instead of using X-rays, proton beam therapy aims proton beams at the cancer. Protons are part of the centre of the atom, the atomic nucleus and carry a positive electrical charge. They release energy as they travel and slow down. They then cause a peak of energy at their target point — the cancer, “the Bragg peak” in medical terminology Broadly speaking, the protons release their energy when they stop rather than when they are traveling through tissue most of the radiation goes directly to the cancer, reducing damage to the surrounding normal tissue. Ion beam therapy has the same principle but uses carbon ions rather than protons. Carbon ions peak more sharply than protons. Like conventional radiotherapy, proton radiotherapy increases the likelihood of killing cancer cells by directing higher dose radiation directly at the tumor. Because of its more precise targeting, proton therapy spares healthy tissue, particularly tissues and organs behind the tumor. Because less healthy tissue is included in the radiotherapy field, there could be fewer long term side effects. In the U.S., Proton therapy is offered at the Procure Proton Therapy Center in Oklahoma City and the University of Florida Proton Therapy Institute. Procure Proton says patients weighing options for cancer treatment generally consider two main factors in their treatment decisions: side-effects of the treatment itself and the likelihood for a successful outcome. 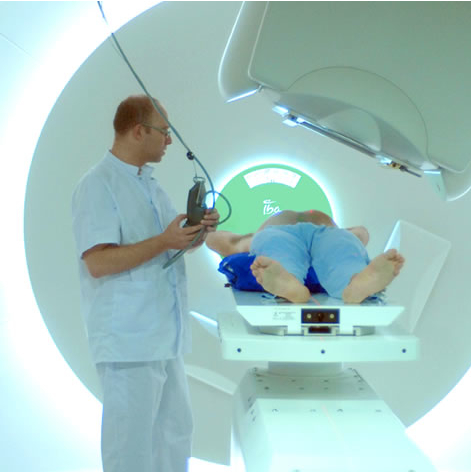 They note that with proton radiation therapy, side effects are generally fewer in number and less in severity than other radiation therapy side effects, resulting in a better quality of life during and after cancer treatment, and that since side effects from proton therapy tend to be less severe, physicians may be able to treat tumors with higher doses of proton radiation. This means that, while patients enjoy an option with fewer cancer treatment side effects, they can also look forward to favorable results. Put simply, delivering the optimal dose of radiation can be easier with proton therapy. The University of Florida Proton Therapy Institute notes that since the side effects from proton therapy tend to be less severe, physicians may be able to treat tumors with higher doses of proton radiation, meaning that, while patients enjoy an option with fewer cancer treatment side effects, they can also look forward to favorable results. Put simply, they say delivering the optimal dose of radiation can be easier with proton therapy, and that as part of a non-profit academic medical research facility, the faculty and staff of the University of Florida Proton Therapy Institute are dedicated to furthering the study of cancer treatment and minimizing cancer treatment side effects — while increasing its efficacy and excellent outcomes. Tagged IBA, Ion Beam Applications, Philips, proton therapy.